Marvel officially made the announcement that Robert Downey Jr is set to reprise his role as Tony Stark/Iron Man in two more Marvel Studios films. 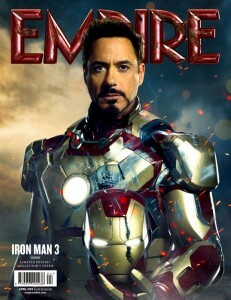 The June 20 news on Marvel.com confirms earlier reports that the Iron Man 3 star was interested in returning for Avengers 2 and Avengers 3, but not a fourth Iron Man film. The sequel will start production on March 2014 led again by writer and director Joss Whedon. Downey’s past two Marvel films, 2012’s Marvel’s The Avengers and this year’s Iron Man 3, rank as two of the top five grossing films of all time, collectively earning over $2.7 billion worldwide to date. Marvel’s The Avengers 2 is set for release on May 1st 2015.